All staff photos published in the Record-Eagle print edition during the week of July 5-11, 2009. Note: Some photos may not be available until late afternoon on the day published. Photos published on Saturday and Sunday will be available for purchase Monday. 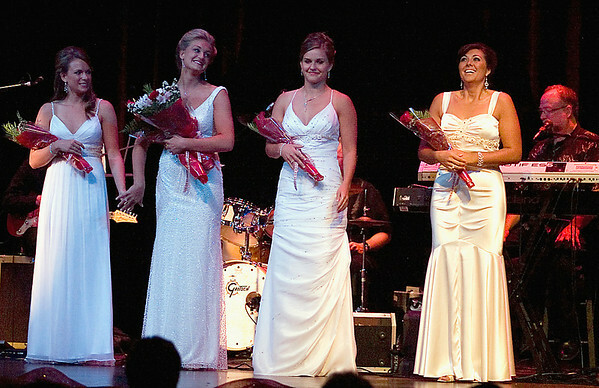 Angela Sayler, far right, was named 2009 National Cherry Queen Friday during the Queen's Coronation Ball and Royale Auction at the Traverse City Opera House. From left and Samantha Dunn, runner-up Stephanie Paulosky, Franki Price and Sayler.